In his final official remarks to the American people, President Barack Obama explained "why we cannot withdraw from global fights." He returned to Chicago to deliver his farewell address and cap eight years in office in front of tens of thousands of supporters. “Rivals like Russia or China cannot match our influence around the world - unless we give up what we stand for, and turn ourselves into just another big country that bullies smaller neighbors,” Obama said Tuesday evening. The speech carried the “hopeful” and “forward-looking” tones that White House officials told CNN to expect, but there was a point during which Obama was interrupted by boos from the crowd. "In 10 days, the world will witness a hallmark of our democracy," Obama said, prompting a negative response from his supporters, "the peaceful transfer of power from one freely-elected president to the next." Obama reiterated his promise of a peaceful transition of power to President-elect Donald Trump, who has vowed to roll back much of the “change” from the last eight years. "Our boundless capacity for risk and reinvention means the future should be ours, but that potential will only be realized if our democracy works," Obama said. "Increasingly, we've become so secure in our bubbles, that we start accepting only information, whether it's true or not, that fits our opinions - instead of basing our opinions on the evidence that is out there." The 44th US president also highlighted the issues of income inequality and climate change. "If every economic issue is framed as a struggle between a hard working white middle class, and an undeserving minority, then workers of all shades are going to be left fighting for scraps while the wealthy withdraw further into their private enclaves," he said. "Without a willingness to admit new information and concede that your opponent might be making a fair point, and that science and reason matter, then we're going to keep talking past each other," he said. Citing social unrest "from Selma to Stonewall" as well as military sacrifices and victories in World War II, Iraq and Afghanistan, Obama defined "American exceptionalism" as the country's "capacity to change." Reactions on Twitter predictably ran the gamut, from gratitude to resolve to pointed criticism. The pep rally atmosphere for Obama's "Farewell Address" is a little weird. Detracts from whatever legitimate message he's trying to convey. Thank you, President Obama, for your powerful call to action tonight for us all to participate in our democracy and make our voices heard. Obama said goodbye in front of around 20,000 people inside McCormick Place, the largest convention center in North America, as untold millions watched live online and on television. 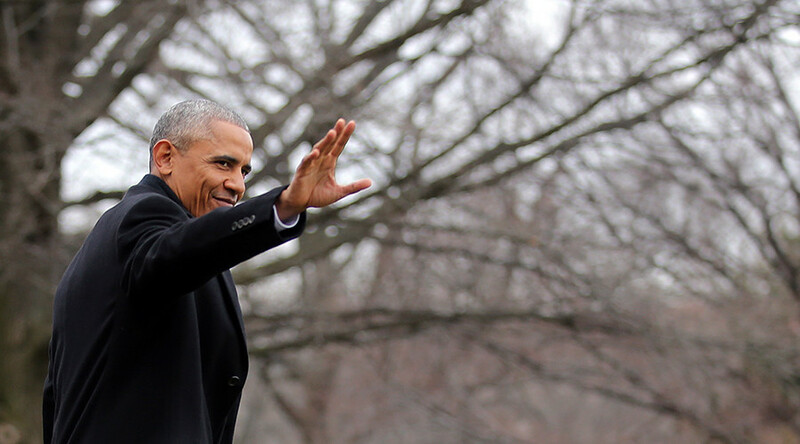 Chicago is considered as much a home to Obama as Hawaii, his birthplace. The windy city is a different sort of birthplace, one for his political career, where he was first a community organizer before being elected to the Illinois senate in 1997. He became the state’s junior US senator in 2004.